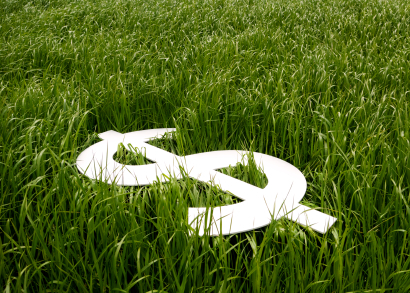 5 Reasons Why DIY Lawn Care May Cost You MORE! With the present condition of our economy, people these days are trying to cut costs anyway possible. Most consumers, in an effort to save some money, assume that doing things yourself rather than hiring a professional will provide the same service for a cheaper price. However in lawn care, this is rarely the case. That's why we'll examine the 5 reasons why doing it yourself costs more than a lawn care company. Buying The Equipment - If you've decided to tackle your own lawn care the first thing you'll have to do is to buy all of the proper equipment and tools to do the job. Depending on the equipment, this could get pretty pricey. Hiring a lawn care company who already has all of the proper tools and equipment saves you the trouble and the additional expenses. Buying The Right Product - Not knowing exactly what your lawn needs, could cost you in the long run. With so many different formulations on the market, fertilizer varies greatly in cost. It could be very difficult on someone who doesn’t obtain the knowledge on what you should use and what you shouldn’t. With this in mind, you could buy the most expensive product thinking it will deliver better results, when it could hurt your lawn in the long run. Proper Use Of The Material - Much like medication, too much fertilizer can have an adverse effect on your lawn. Too little, and it can have no effect at all. Proper fertilizer amounts vary on your turf, weather, and soil conditions. Similar to dosages for medication, the wrong amount could spell disaster. Time Spent - We've all heard the saying that "your time is worth money." However, I like to argue that we all have limited time on this big blue ball, and the last thing you need to spend your time on is fertilizing your own lawn. Seeing a lawn care company fertilize a lawn may look easy, however these licensed technicians have had years of training to perfect their craft. Accountability - Perhaps the biggest reason DIY lawn care costs you more in the long run is the level of accountability. Lawns are living things that don't respond the same way twice. Varying temperatures, soil conditions, and disease can alter how your turf responds to fertilizer. So what happens when you don’t see results? Do you spend more money buying new products to try out on the lawn, hoping that it will work? Lawn care companies and their technicians are people you can hold accountable for the health of your lawn. These professionals monitor your lawn and can solve issues before they have a chance to get out of hand. Can you say the same about yourself? While the sense of accomplishment when preforming a task that you would normally pay someone to do may feel great when all is well, it pales in the sense of frustration you may feel when your lawn doesn't look right. So while you may save a few bucks here and there, a lawn care professional can deliver the results that you desire year round. This article discusses the importance of lawn care companies and their impact on your lawns. However it doesn't mean that you have to overpay for those professional results. Learn what you should look for when hiring a lawn care company that can save you money in the long run. Download our Free Lawn Care Company Hiring Guide by clicking on the button below!